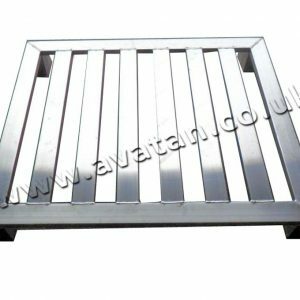 For those with hygiene as a priority, Avatan design and manufacture high quality aluminium pallets to order. Available in large or small quantities and any size, we will listen to your needs and design the pallets to suit your processes. These hygienic pallets are made to order and are ideal for the meat trade, catering industries, and pharmaceutical production and storage facilities. 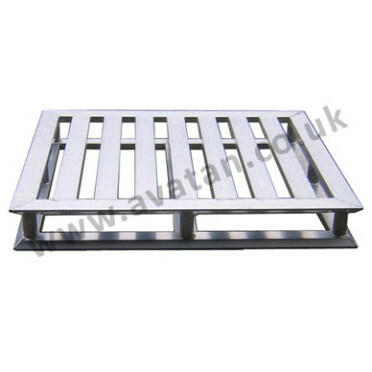 Aluminium pallets are light but incredibly strong and durable and we can supply them in large or small quantities. Please contact one of our specialist advisors with your requirements and size dimensions and we will design you the right pallet to suit your processes. Ask also about our Stock Aluminium Pallet generally available for immediate despatch. 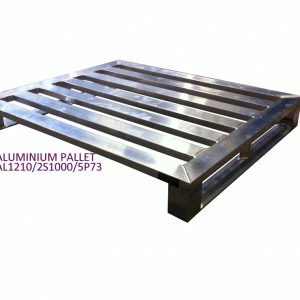 Aluminium pallets are made of heavy duty, corrosion resistant extruded aluminium with continuous seam welding of all joints. The pallets can be provided with full perimeter base and can be supplied with two way or four way entry options. They are perfect for transporting and storing food and pharmaceutical products. Manufactured with chamfered profile skids, these are suitable for use with either fork lift or hand pallet trucks. Pallets can be supplied with planked deck or fully sheeted deck. They are also available with a full perimeter raised lip to reduce the likelihood of the products slipping. Aluminium pallets can be stored safely and securely in pallet racking. 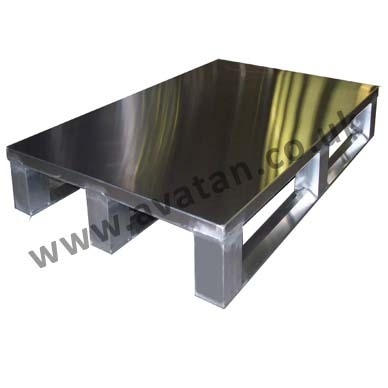 Stainless steel pallets are also available. With over 25 years experience in manufacturing and supplying quality aluminium pallets, you can trust us to advise on the perfect storage solution.